Public love of freedom vs. tyrannical love of power. AND WHAT THAT WILL LOOK LIKE FOR 2012 GLOBAL rEVOLUTION. has become the greatest enemy of the Republic. from very slow to very fast since 9-11 shocked us all. take over the power of the US Treasury to create money. is NOT 'Federal' and has NO reserves, creating debt. banksters running the biggest financial scam in history. 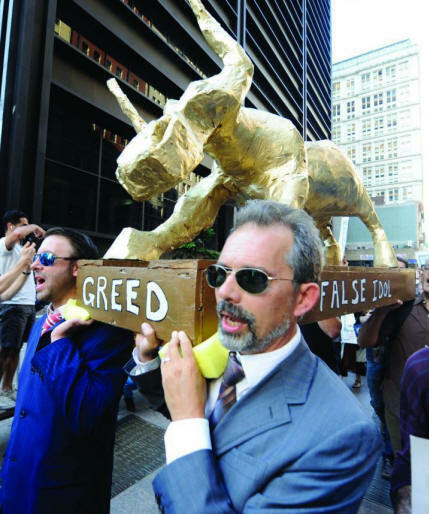 Now in 2012, we see the fruit of this 'Golden Trojan Horse'. inverted, subverted and perverted the Constitution. the higher law that U.S. Founders based government on? inverted, subverted and perverted by the Corporatocracy? begins by restoring sovereign RIGHTS in the public SPHERE? what do you do about the abuse of powers? federal judges will limit federal power? will repeal power handed to them? 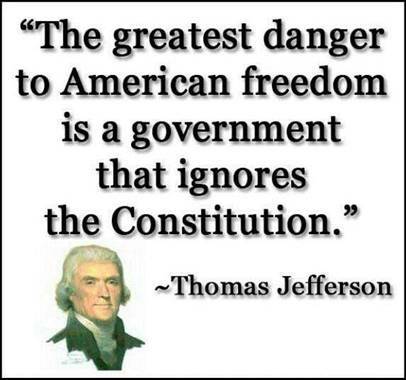 Thomas Jefferson and James Madison didn’t think so. that power would always grow. HAS BEEN GROWING LIKE A CANCER IN THE BODY POLITIC. declared unconstitutional by the Supreme Court. the States that created the federal government in the first place. It's called ‘Nullification’, and it's an idea whose time has come. used today to push back against the encroachment of federal power. The States formed the federal government with pure intention to make it ACCOUNTABLE to the States which are ultimately ACCOUNTABLE to the sovereignty of the individual and public consent of the governed. BETRAYAL of this common sense is the cause and core BETRAYAL of representative government of, by and for the people. That’s why common sense is uncommon… why Fed-Gov policies are BACKWARDS… why public institutions have been privatized by the Corporatocracy… why banksters plunder the economy and then bail themselves out… why endless terror war is waged for peace.. why the sick ‘health care’ system values a pound of disease treatment more than an ounce of disease prevention… and why corporate media cultures ignorance of this systemic BETRAYAL which is destroying the Republic like a cancer in the body of civilization. love of power at the expense of Constitution principle. Throughout recorded history, the corrupting influence of unchecked power has led to more wars and self-destruction in civilizations than any other factor. Common sense under Constitutional law would say that the “employee” (Fed-Gov) does NOT tell the ‘employer” (States) what to do. Try telling your employer what to do; that’s NOT how it is supposed to work. With public government now ‘privatized’ and ‘federalized’ by the Corporatocracy at all levels – like federal subsidized health care with Medicare -- the subservient role of Fed-Gov has been inverted with the ‘employee’ telling the ‘employer’ (States) what to do. 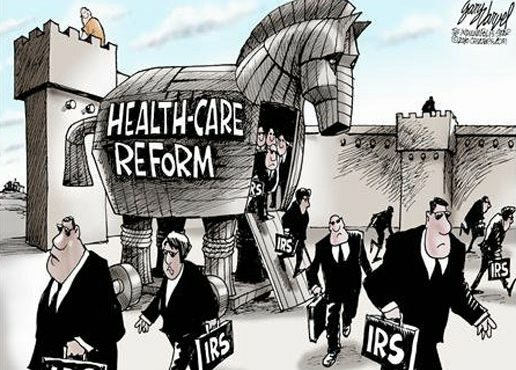 States don’t get the benefits of Medicare under Fed-Gov ObamaCare unless they submit to the mandatory tax of everyone in the State – an extortion racket for the corporatocracy. has been the genesis of Fed-Gov tyranny. CORRECTING the downward disintegration spiral in America requires only that enough good people conceive, believe and achieve a vision of virtue and valor for the victory of an upward-mobile ‘INTEGRATION SPIRAL’…the genesis of 2012 LOVE Unveiled. the inordinate love of power? Based on your response, do a serious check-up from the neck-up… and consider the real world capability of the installed and operational Internet for an instant-everywhere and interactive upgrade of core Constitutional freedoms as will once again make federal government accountable to the purpose for which it was created -- CONSENT OF THE GOVERNED – with “web 3.0” (mass-to-mass TeLeComm). Consider also how the Internet could provide ‘informed choice’ for healing the backwards disease care system with ‘Universal Self Care’… for the whole world… as soon as enough good people demand it. Let’s get real folks, Jefferson and Madison won the hearts and minds of the founding citizens of America, and they are alive and well in the hearts and minds of ‘AMERICA’, the ‘I AM RACE’ (anagram) comprised of global netizens today. that is far worse than what King George II was doing to the colonies. There's No Hiding It: Citizens United Wasn't About "Speech”. "It's one big joke. Big enough to make you cry. Three things don't go together: Money. Secrecy. Democracy. That's the nub of the matter. This is all a sham for invalidating democracy in the name of democracy. It's the trick authoritarians always use to hide their real intentions, which in this case is absolute power over our public life and institutions: the privatization of everything. "The Supreme Court is pointing the way. 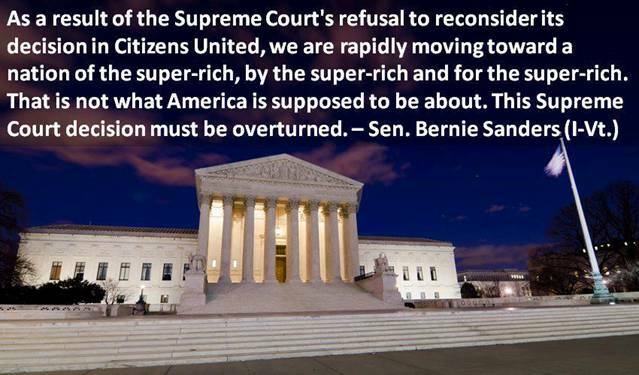 Instead of mitigating the worst excesses of both the state and the private sector, with Citizens United and the latest decision affirming it, the Court has taken sides - saying to the massed wealth of the one percent: America is yours for the taking, for the buying. "That's what George II thought, too, which brings us back to our celebration of the 4th of July, to the Declaration of Independence and Thomas Jefferson, who seems to have thought that a little uprising now and then would be good for what ails us. This time the overweening power is not monarchy but plutocracy, the convergence of the political, religious and corporate right that would keep us in the dark about where all that money is coming from, and who it's buying, until one day we wake up and our country is no longer our own. "The democratic foundations of our country and this movement toward a more inclusive democracy are now facing the most severe attacks, both economically and politically, that we have seen in the modern history of our country. Tragically, as I say this advisedly, we are well on our way to seeing our great country move toward an oligarchic form of government - where virtually all economic and political power rest with a handful of very wealthy families. This is a trend we must reverse." "Economically, the United States today has, by far, the most unequal distribution of wealth and income of any major country on earth and that inequality is worse today in America than at any time since the late 1920s. "Today, the wealthiest 400 individuals own more wealth than the bottom half of America - 150 million people. "Today, one family, the Walton family of Wal-Mart fame, with $89 billion, own more wealth than the bottom 40 percent of America. One family owns more wealth than the bottom 40 percent. "Today... the bottom sixty percent owns less than 2 percent. Incredibly, the bottom 40 percent of all Americans own just 3/10 of one percent of the wealth of the country. Spiritual awakening has always been a two-edge 'sword' that not only 'cuts through' spiritual deception, but also awakens the impulse of Conscience for up-wising and uprising in ways that naturally make dishonor and deception obsolete. In good Conscience, we naturally embrace the truth that LIBERATES the United Sovereigns of Earth, making obsolete the divide-to-conquer method to the madness of the psychopathic plutocracy (pathocracy). There time is short and hubris is great. History will record their demise with relief and gratitude to the true patriots of 'The Alliance' whose love of freedom resurrects the Higher Power of LOVE at the "heart" (Source) of 'The Force'. Corporatocracy has no right to power that is morally wrong. Marcus Cicero, over 2000 years ago, defined freedom as participation in power. If you don't participate in power, you are not free. Whoever has the power owns you. If you want to be free you have to participate in power. And Higher Power has always been vested in those of good Conscience. Part of the 2012 drama is mass awakening to real solutions for global problems. is to authorize monopoly power for a very few at the expense of very many. Corporate profits must be held accountable to Constitutional principle. standard' they will honor; the gold calf or the Golden Rule. 'Sovereignty Games' and 'The REAL Olympics'.